You gotta love a good hat. Toss your hair back, pop it on your head, and you're out the door. There's only one challenge when it comes to your carefully curated collection — where are you going to store them all? Using an organizer in your closet can take up tons of space, and not everyone has plentiful shelving for all those hat boxes. Shoving them into a basket won't help them keep their shape, resulting in some very sad-looking hats. So, what's the solution? Make them a part of your home decor, which can save on space and look oh-so-chic, too. 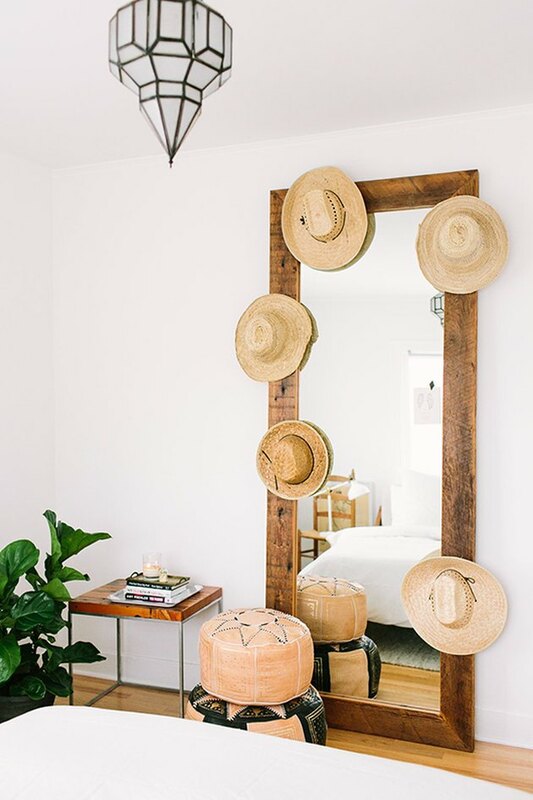 Here are eight completely creative ways to store all of your beloved chapeaux, while displaying them in artful ways throughout your abode. 1. 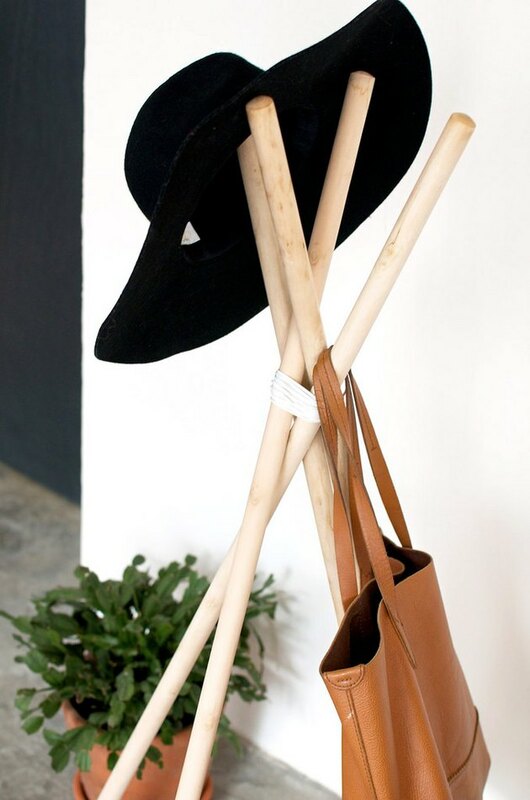 Make a hat rack. Geneva from A Pair & A Spare must really love her hats, because she crafted this DIY stunner to showcase her collection. All it takes are a few wooden dowels and some leather cord, and voila. Now you have an incredibly cool hat rack that can live most anywhere in your home. 2. Hang an organizer on the back of a door. An over-the-door organizer, which is a practical item when it comes to storage, isn't the prettiest. But fear not. With the addition of a few fashionable brims, this mundane household item can instantly transform the back of any door. Stephanie kept it easy-peasy with a door organizer and two sweet straw hats. 3. Dangle them from a pair of faux antlers. Faux antlers can be an unexpected place to store hats. They have a rustic, vintage appeal, and your collection adds visual interest to the antlers, too, which photographer Kara Rosenlund has captured beautifully. 4. Showcase them around the frame of a mirror. A mirror, although necessary for sizing up your outfits, can be a little blah by itself. 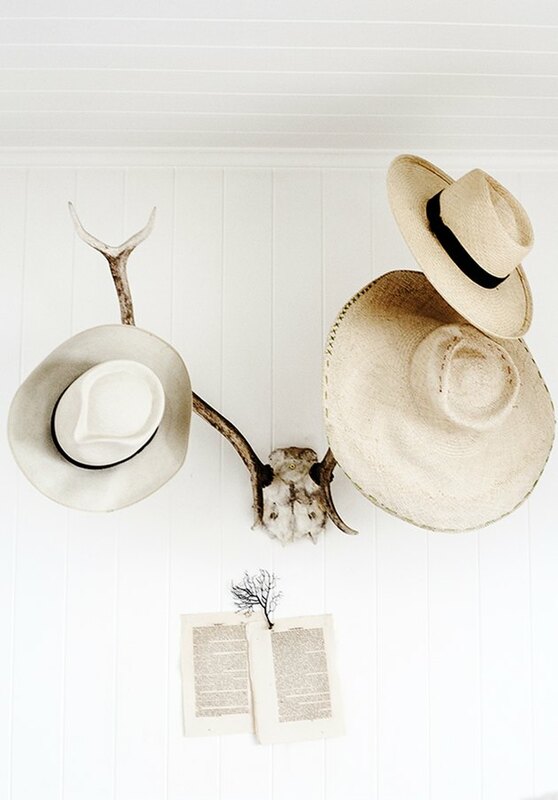 Liven things up by placing a few hats around the frame, using small hooks that can be fastened to the wood. This is just one of many inventive decor ideas in the home of Jihan Zencirli from Geronimo Balloons. 5. Put together a DIY hat wall. 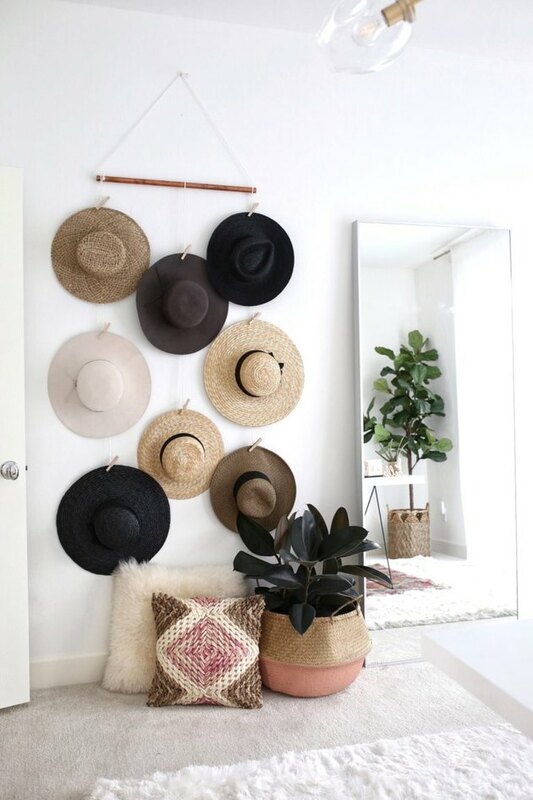 Here's another example of hats doubling as wall art. Sabrina Tan from Gypsy Tan has shared an innovative DIY project to show off your hats. Using only a piece of copper pipe, rope, and clothespins, you can follow the instructions and make a distinctive hat display all your own. 6. Place them in an entryway. 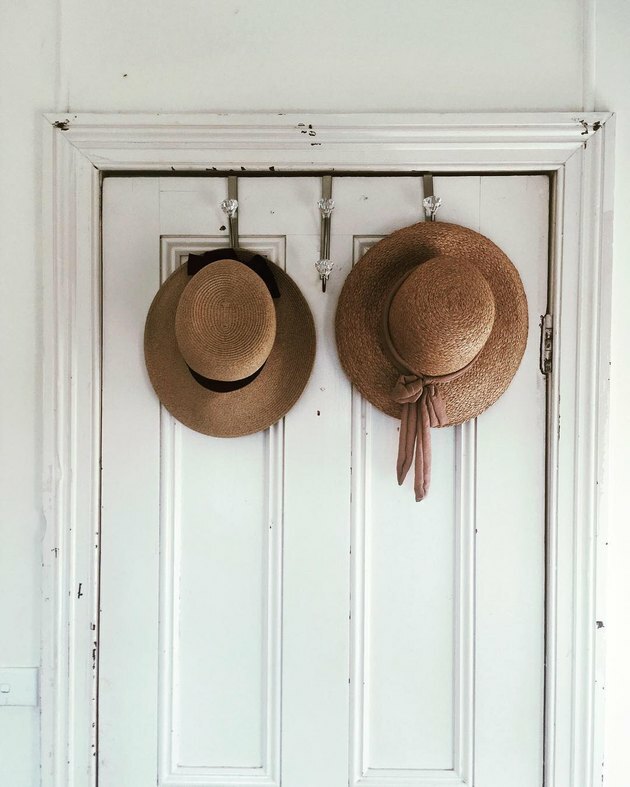 Can it get any more convenient than storing your hats right next to your front door? 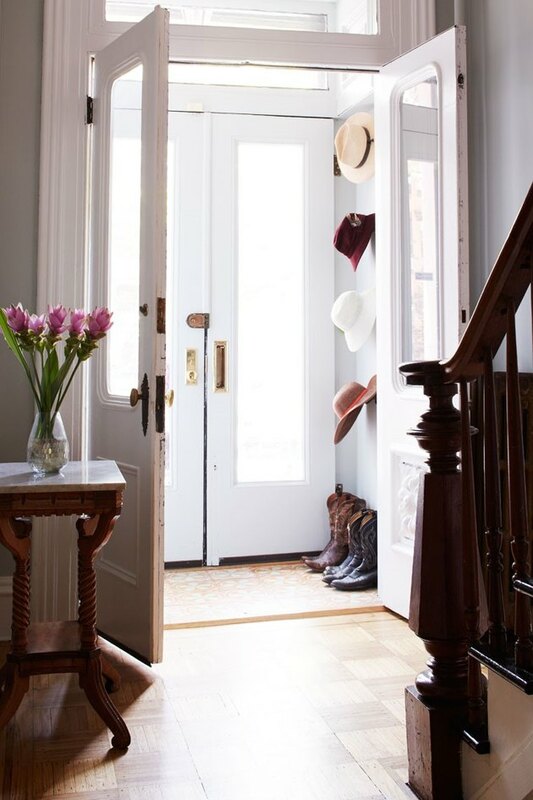 In this bright entryway devised by Red Design Studio, hats on hooks stand at the ready. The hard part is deciding which one to wear every day. 7. 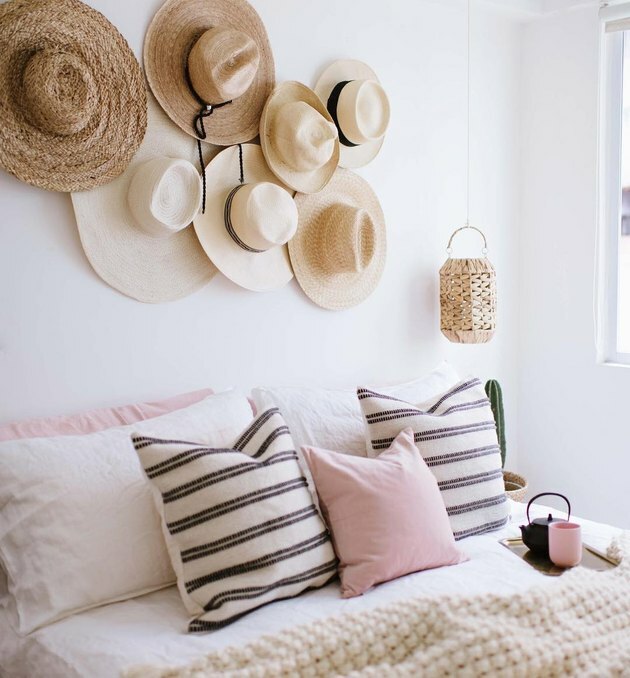 Weave your hat collection into your home's color palette. If you love a certain color palette, chances are your clothing follows suit. 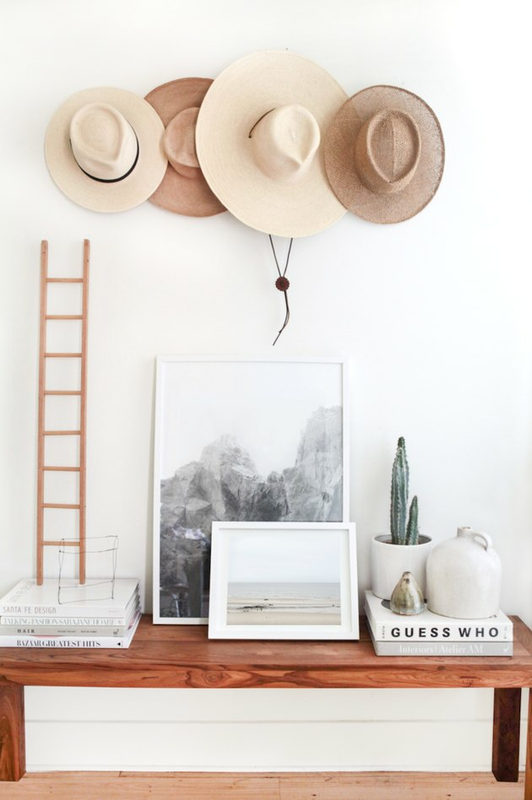 Create a gallery wall using your hats, matching them to the hues and style of the space, like this vignette captured by photographer Tessa Neustadt. 8. Cluster them to create an instant art piece. It turns out that grouping several hats together can become a piece of wall art capable of standing on its own. So instead of spending money on that expensive original, look to your closet and gather up your cutest hats like Geneva Vanderzeil from A Pair & A Spare did in her bedroom.